A photo of the archway leading to the Indian Training School. Chemawa Indian Training School. 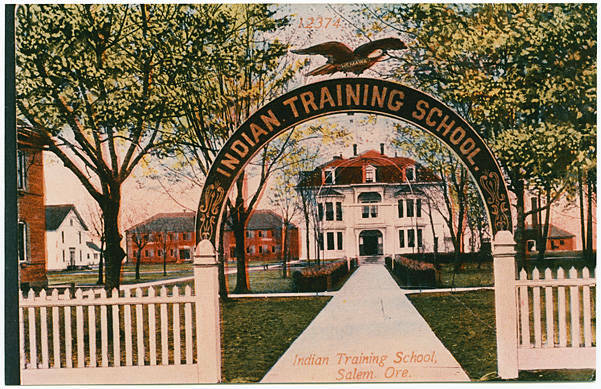 Indian Training School, Salem, Ore.